Many of our patients seek orthodontic treatment at some point in order to straighten misaligned teeth. Those patients often experience a decline in oral health due in part to how challenging it is to care for teeth with braces. Our dentists and hygienists help patients develop and maintain an at-home hygiene routine to keep teeth and gums healthy throughout orthodontic care. Contact Premier Family Dental to find out more today. 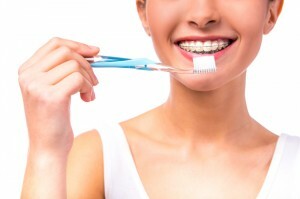 Brushing – brush at least three times each day. Brackets and wires make it easier for food to get trapped against teeth leading to decay. We recommend brushing in the morning and evening, and after the midday meal. Remember to wait half an hour after eating to brush, and half an hour after brushing to eat. 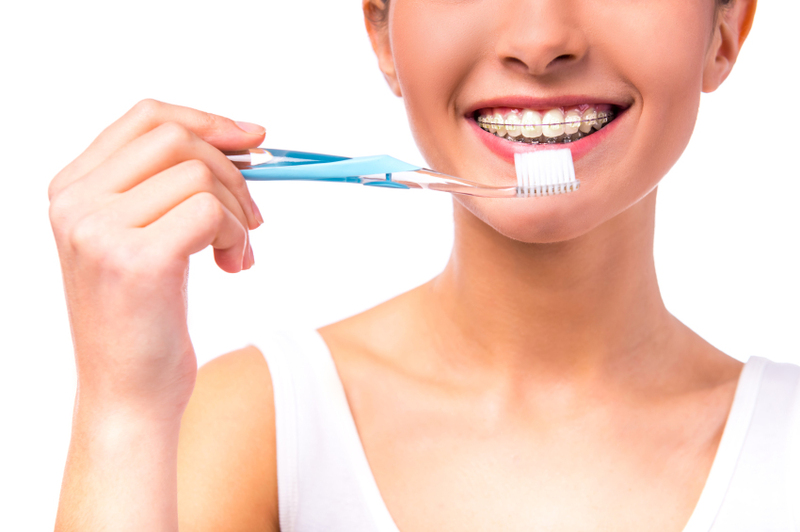 Flossing – patients are often surprised that flossing is possible while wearing braces. There are many floss threaders and specialized floss for braces that make it possible to insert the floss below the wires, and clean between teeth and gums. Throughout orthodontic treatment, patients should continue flossing at least once each day. Rinsing – antibacterial mouth rinses and those with fluoride keep teeth clean and reduce the amount of plaque. Mouth rinses also help patients remove bacteria from hard to reach places around brackets and wires. Retainers – patients with retainers should follow their orthodontist’s directions for daily wear times and storage, but at least once each day, patients should brush their retainers with a small amount of toothpaste. Never use warm or hot water to clean retainers since it may warp the device, and clean retainers over a towel or partially filled sink to protect the oral appliance in case it is dropped. Diet – avoid sticky or small foods that are more likely to get stuck to braces. Orthodontists have long recommended removing gum, popcorn, hard candy, and other foods from diets to protect teeth. Ask your orthodontist for a full list of foods to avoid throughout treatment. If you are wearing braces and want to find out best practices for oral health during orthodontic treatment, the Premier Family Dental team can help. Our Waco dentist and team offer patients guidance and education in order optimize oral hygiene and keep healthy teeth for life. If you want a straighter, more beautiful smile without the hassle of brackets and wires, schedule a ClearCorrect orthodontic consultation. ClearCorrect uses a series of clear plastic alignment trays to shift teeth into their ideal position without metal wires and brackets. by: Dr. Rick Cofer at December 7, 2015 .